How to achieve the most good in the world is a question that should occupy all our imaginations: a response to Lisa Herzog. Credit: www.shutterstock.com/woaiss. All rights reserved. Lisa Herzog’s recent article for OpenDemocracy presents several arguments against ‘effective altruism.’ In short, she argues that “there’s no universal definition of ‘most effective’ in the world of social change,” and that effective altruism should consider structural change rather than simply donating money to fix global problems. Collective action, she says, is central to alleviating societal issues like climate change or global inequality, rather than individuals acting on their own. These are important arguments, but they mischaracterize crucial elements of effective altruism and ignore what this movement is actually doing to help the world. I can understand this mistake, since when effective altruists present their work in public we talk first about the things that are easiest to explain—like saving lives with basic medical treatments in the developing world. But far from being monolithic or focusing only on making charitable donations, effective altruists are trying to solve a diverse range of problems in different ways. Herzog’s article reduces a burgeoning and impactful social movement to a straw man. Effective altruism begins with a question: how can we make the biggest difference in the world? Certainly, effective altruists share a few beliefs in common—for example, that all lives are equally important, regardless of where someone is born. 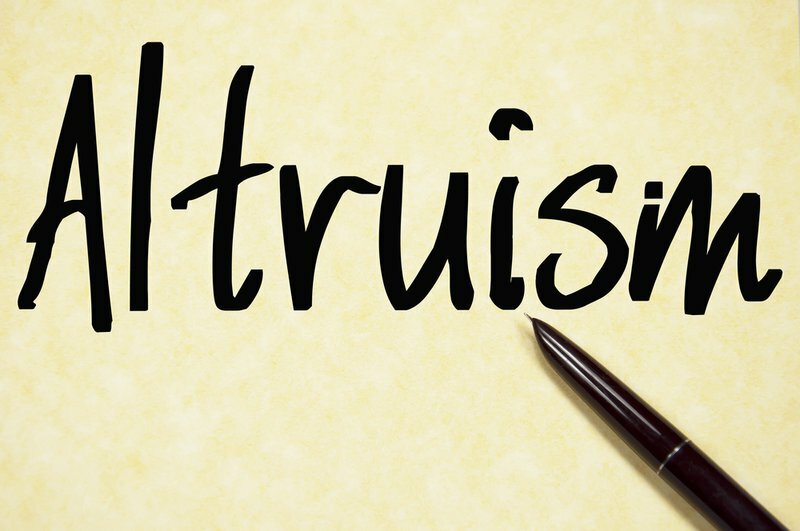 Acting on this belief, many effective altruists donate to effective charities in the developing world, or become vegan or vegetarian, because they believe these to be low-cost, high-impact ways of helping others. But these actions represent only our best guesses about how to do most good. If someone makes a convincing argument that another action has more impact, then effective altruists would adopt those alternatives instead. For example, in contrast to the stereotypes, effective altruists love systemic change. We view charitable donations as simply one way of maximizing the amount of good that anyone can do in the world, not as the full extent of our moral obligation to others or as a ‘silver bullet’ for the problems of humanity. Philosophers, activists, entrepreneurs and others in the movement are actively seeking changes to the institutions and systemic forces that constrain human potential. Nick Cooney, founder of the Humane League, is a case in point. He has created an advocacy organization that uses grassroots power and big data to change the lives of animals in factory farms. The Humane League’s approach fits in with the effective altruist mindset by targeting one of the largest sources of suffering in the world—factory farms—with the power of activism. The results speak for themselves: in 2015, companies like McDonalds, Dunkin’ Donuts, General Mills, Costco, Sodexo and many more agreed to adopt cage-free egg policies. As this example indicates, the criticism that effective altruists prefer individual agency over collective action is mistaken. Cooney’s organization, together with the movement’s broader grassroots activism on behalf of animals, has been a central pillar of effective altruism since its inception. While Herzog may disagree with the particular issues we have chosen to prioritize, that is a separate question entirely. Lincoln Quirk is another effective altruist. He’s the co-founder of a mobile money app called Wave. As a software coder and entrepreneur, Quirk took a problem that few people in Silicon Valley were addressing: exorbitantly high fees on international money transfers from companies like Western Union. His solution was to create a mobile money app that charges just 3% in fees, compared to 10% from larger companies, and that means that families in the developing world now have more money in their pockets for food, education, and medicine. The scale of international remittances is much larger than foreign aid flows, so cutting fees on international money transfers—even by small amounts—could have a major impact. Critics may claim that market-driven approaches to social change like these are flawed, but I would counter that social change is about improving life as much as we can, rather than furthering any specific ideology or strategy. Moreover, not all social problems can or should be solved through collective action either (although many, of course, might be). Quirk’s approach can be considered effective because he created a new and better institution than those that currently exist, not because it hewed to a narrow definition of how we would like to see social change occur. Speaking personally, effective altruism has been the single most important factor in my decision to work in global health policy. As an advocate for global health legislation in Washington D.C., I work to influence U.S. representatives to spend foreign aid dollars efficiently—mindful of the broader structural barriers to better health worldwide. One piece of legislation for which I’m currently lobbying is the ‘Reach Every Mother and Child Act.’ This act would allow the United States Agency for International Development (USAID) to spend its global health dollars with strength of evidence and impact as primary considerations. Another resolution I’m pushing calls on the US government to establish a health workforce strategy to guide efforts in the developing world, which is one of the keys to improving weak health systems that allow diseases like Ebola to flourish. What’s common to these examples is a simple but important question: what metrics matter when we consider social change? Herzog is correct to point out that no universal or generalizable measurements exist. She points to the overuse of Quality-Adjusted Life Years (QALYs) and Disability-Adjusted Life Years (DALYs) as emblematic of this problem. Many effective altruists would agree, before going on to say that that’s exactly why we spend so much time thinking about the issue of measurement. Effective altruists generally think that QALYs and other measures are tools to help us evaluate the impact of health interventions—limited but nonetheless useful and important. Instead, GiveWell’s recommendations are based on multiple criteria: evidence, cost-effectiveness, room for more funding, and transparency. The Open Philanthropy Project, a spin-off of GiveWell, is pursuing a number of projects with ‘squishier’ metrics that include criminal justice and land-use reform, macroeconomic stabilization, immigration, bio-security, and medical research. So effective altruists are not merely concerned with donating money to a narrow set of health interventions measured using DALYs or QALYs. We approach social change from the perspective that we should aim to use our time, money, and resources to maximize ‘expected value,’ or the probability that a given intervention can achieve an improvement multiplied by the benefit of actually achieving that improvement. This openness to different methods of pursuing social change strikes me as crucial, and effective altruists want to hear from as many people as possible about how best to improve the world. Unlike many other social movements, this one aspires to be ‘cause-neutral,’ identifying what to work on according to how we can have the greatest possible impact rather than what we’re most passionate about or closest to. Contrary to Herzog’s assertion that effective altruism approaches social change from the basis of what’s ‘rational’ according to individual preferences, we prioritize coordination and working together to achieve larger changes. The logic of effective altruism is pretty simple: we should be thoughtful, evidence-based, and diligent about how we approach all questions of social change. While there is certainly plenty of space to disagree about these questions—especially how we decide which issues should be prioritized and what strategies to pursue—that’s different from saying that improving the world as much as we can is not a worthwhile goal. That question—how we can do the most good in the world—is surely something that should occupy all our imaginations.